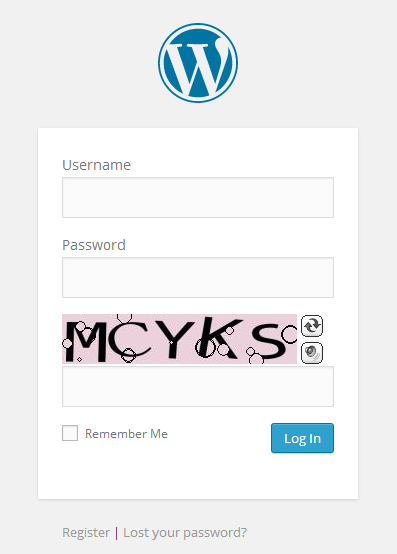 The BotDetect PHP Captcha WordPress plugin allows easy integration with WordPress Login forms. Adding Captcha protection to login attempts is an effective way to prevent automated username & password brute-forcing attacks which try to guess access info for existing user accounts. That's it! Now, when you open the Login page, you should see it is protected with Captcha validation. Only human visitors who successfully solve the Captcha challenge and retype the correct Captcha code will be allowed to log in, while bots will be prevented from brute-forcing username and password combinations. Bots will often try to "hack" valid user accounts to use for spamming, so they must be prevented from accessing the authentication database – if allowed to try different username & password combinations, brute-force checks of common values will eventually find some valid ones. To prevent this, no authentication data will be checked or accessed at all until Captcha validation is passed, providing maximum protection from automated attack attemps: only login info typed by verified human users will be checked against the WordPress authentication database. 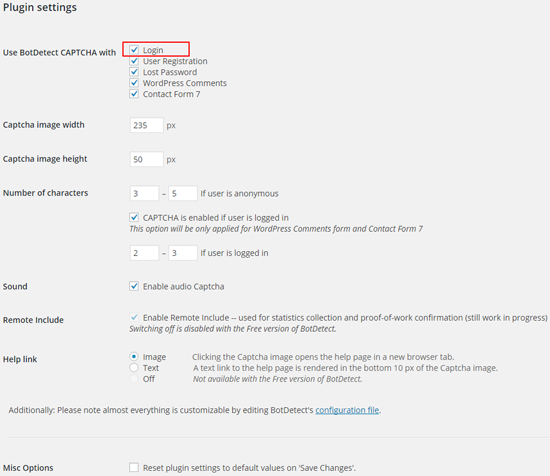 To remove BotDetect Captcha protection from the Login form, simply uncheck the Login option shown above.